The quote module is about 80 percent identical to the project module. 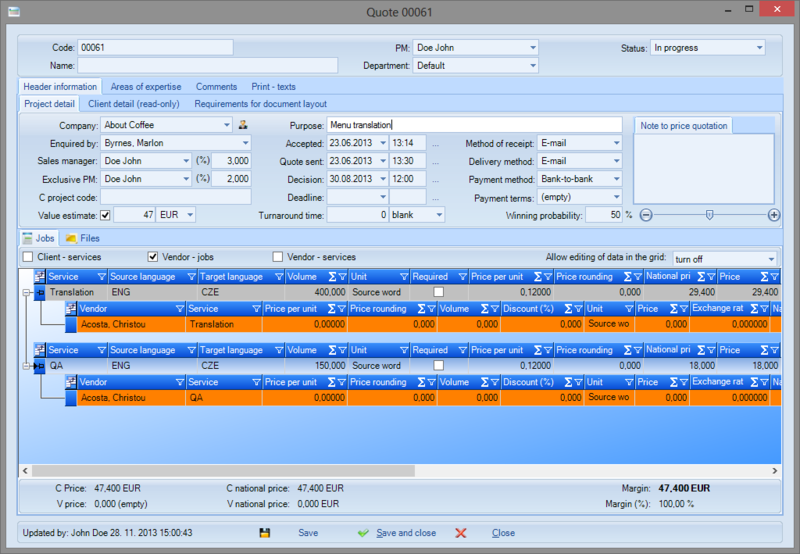 It is used for creating and recording quotes towards clients. 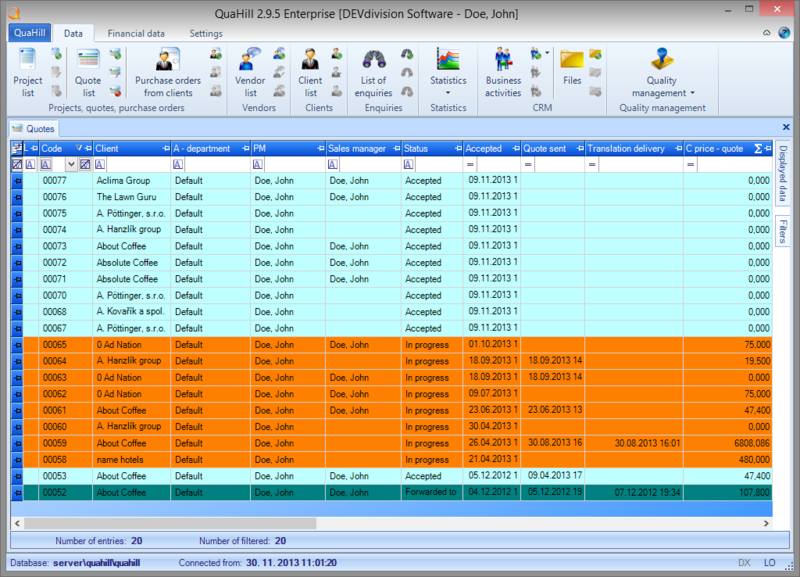 As soon as a quote is created in the system, you can generate an email to which the quote is attached as a PDF appendix. Then you just send the email. 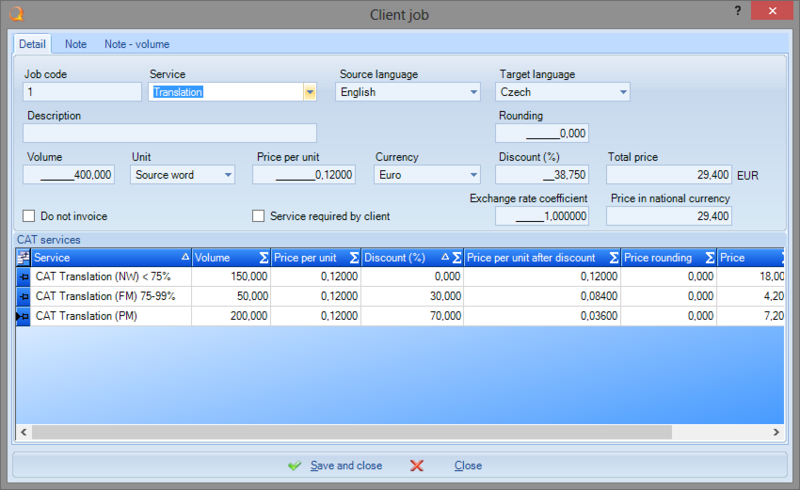 If a client accepts a quote, it is very easy to generate a project from the quote so there is no need to enter the data again. The system does it for you.